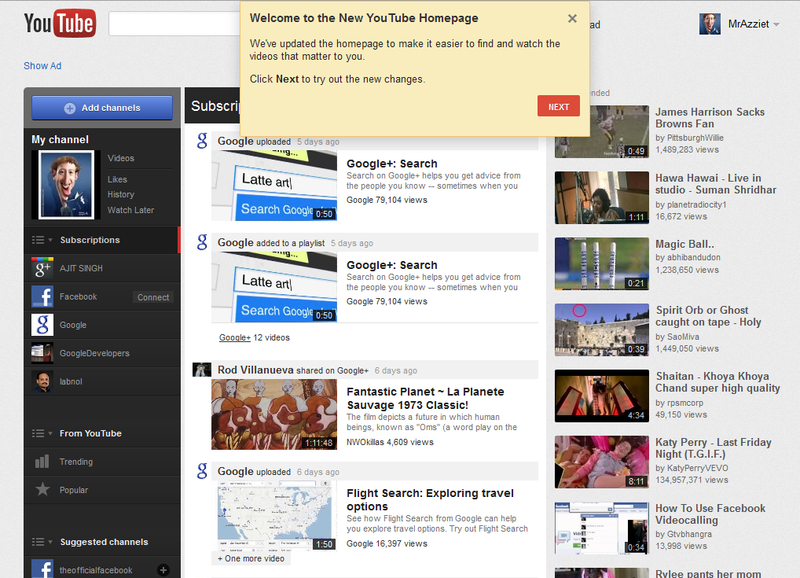 You Tube got a new Look, Enable it ! As we know Google's all products got their new look much neat & clean. 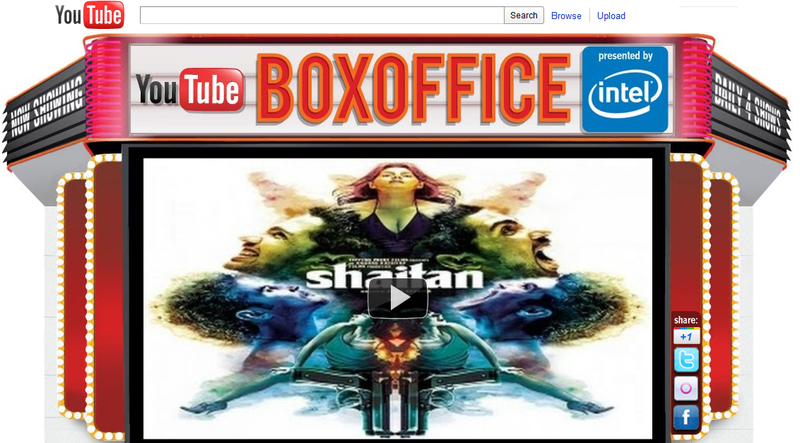 as so You Tube got their new look with pretty much attached with Google+ and new channel recommendations. Word on the street is that YouTube has a slick new design. It’s a revamped homepage with some pretty tight Google+ social integration and content discovery features. But if you’ve fired up your trusty Internet machine and the new YouTube hasn’t yet appeared for you, don’t fret. Our friends at The Verge have figured out an easy way (via Google+ user Mortiz Tolxdorff) to turn on the new features right the heck now. Starting this month, YouTube will feature two new Bollywood movies every month for free on its YouTube Box Office channel for users in India. For the month of September the channel will be featuring ‘Shaitan’ and ‘Pyaar Ka Punchnama’. Shaitan is making its online debut first on YouTube even before its television premiere. “Launched three months back, the Intel sponsored YouTube Box Office channel has already got over 11.5 million views in India and is the number 20 most subscribed (all time) channel in India. Apart from featuring full length movies, the channel also engages users with movie trivia and contests. Users can also choose to watch movies from YouTube movie catalogues which offers over 1500 movie titles including over 400 titles from regional movies in languages such as Gujarati, Marathi, Telugu, Tamil and Bengali,” the company said.